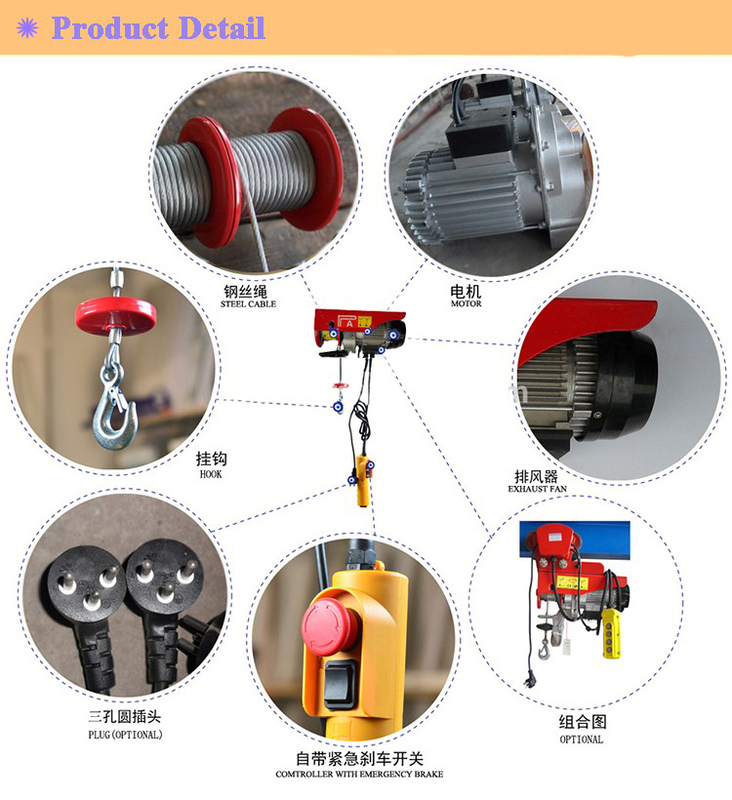 Discription and advantages of PA hoist. 1. Used for lifting heavy goods and installing equipment. in the workshops of machinery factories and repair shops. 2. Used for lifting and stacking materials in material warehouse and goods yards. 3. Used for hoisting prefabricates and cement pipes in construction industry. 4. Used for lifting heavy goods in the warehouse of light textile factories ,workshop of hospitals, shops, market and food products factories. 5. Used for lifting heavy goods at the wharfs. 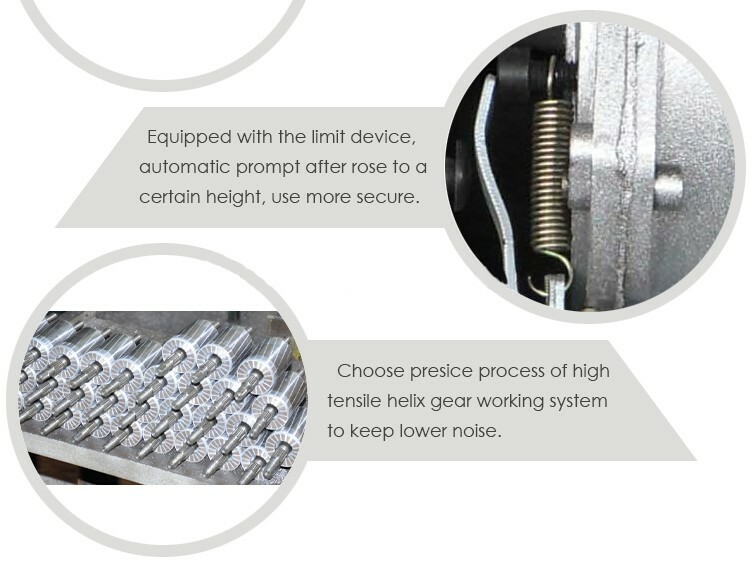 2.Drop-forged, heat-treated suspension hook and load hook mounted on swivel steel balls with safety latches. 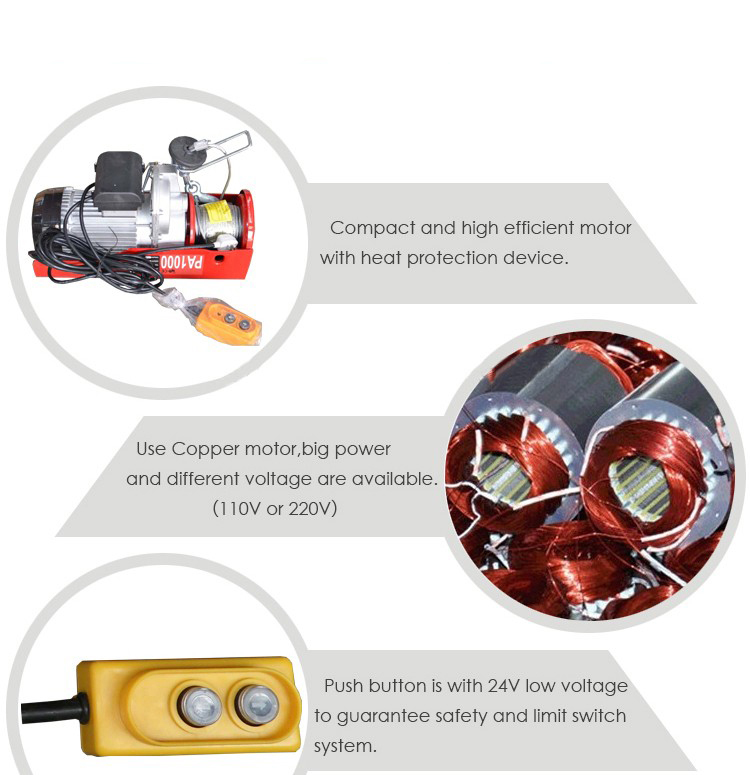 3.Motor insulation is B, magnetic single-phase. Double hook use, single hook use . 4.Caged roller bearings on drum center shaft . 7. Can be achieved Upper location limit and Lower position limit .